Atlantic Lodge owns a 27” feet twin Yamaha Engine fishing boat. 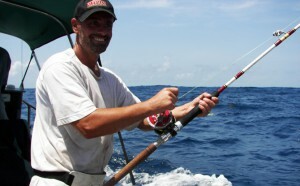 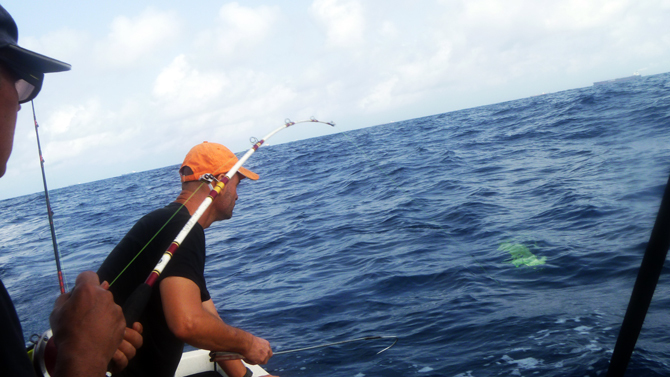 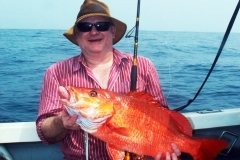 Herbert and Christian (Germans) will take you out for Little or Big Game fishing in the Atlantic Ocean. The sea has a wide variety of fish such as tunas, wahoos, dorados, king fish and sail fish and you are likely to catch any of these. 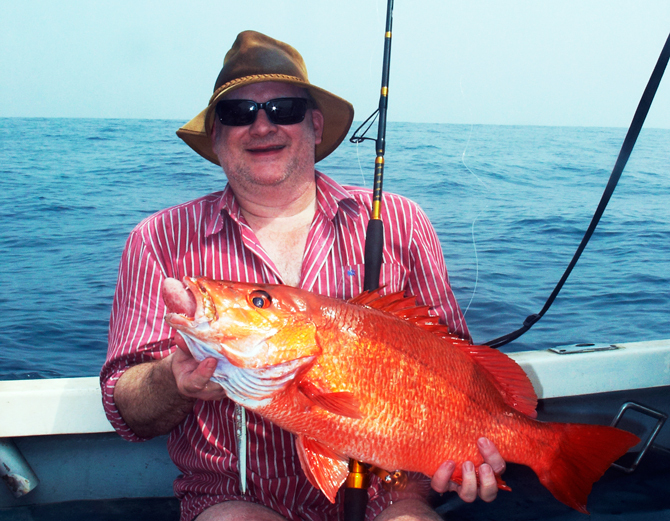 The catch of the day is usually eaten in Christians Red Star bush bar or at Atlantic Lodge. 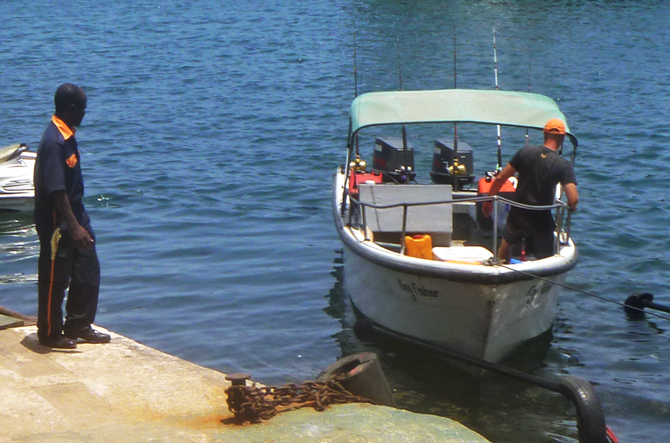 Fishing equipment including rods, reels and hooks are available and you do not need to bring yours. 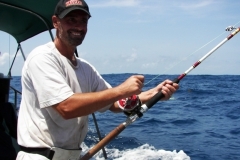 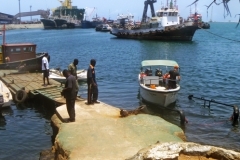 You can also go for whale and dolphin watching during the season or just rent the boat for a pleasure trip.